First a country overview and then details specifically about the children’s home and school. The country of the Philippines is a collection of islands going mostly north and south. It consists of about 7,641 islands. That number is not exact because some islands are underwater at high tide and emerge as the tide goes down. 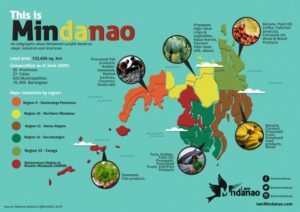 There are three main geographical divisions from north to south: Luzon, Visayas, and Mindanao. According to Wikipedia, the Philippines is bounded by the South China Sea on the west, the Philippine Sea on the east and the Celebes Sea on the southwest, the Philippines shares maritime borders with Taiwan to the north, Vietnam to the west, Palau to the east and Malaysia and Indonesia to the south. It is the eighth-most populated country in Asia and the 12th most populated country in the world. As of 2013, approximately 10 million additional Filipinos lived overseas, comprising one of the world’s largest diasporas. I saw government figures that mentioned that approximately 15-20% of the working age population live overseas to support families at home. It is one of the only two predominantly Christian nations in Southeast Asia, the other being East Timor. The children’s home is located almost exactly at the pinpoint in the orange peninsula on the left side. The children’s home is located on the island of Mindanao, which as stated above is the southernmost major island. It is approximately 7 degrees north of the equator. The children’s home is located on the northwestern coast. It is about a one-minute walk from the shore, located in the fishing village located between the towns of Sindangan and Leon B. Postigo. One of the interesting thing to those of us in North America, being that close to the equator, the days are almost equal length year around. Sunrise at approximately 6:00am and sunset around 6:00pm. Right at the children’s home, there is about a 40-minute variation during the year. Much of the reason for the problem of income that causes the children’s home and the voc/tech school to be needed, is that most of the major sources of industry and economic activity is on the far side of the island. What remain are mostly low paying jobs unless there is specialized training. I will talk more about that in a later post.